The pioneers of stock car racing reunite this weekend in Hillsborough, where drivers zoomed around the Occoneechee Speedway in the early days of NASCAR. The mile-long dirt track hosted more than 30 races between 1949 and 1968. More than 100 of those cars will be on display along with some of the legendary drivers who raced them. Host Frank Stasio talks with drivers Gene Hobby and Brownie King. He also talks with driver Rex White who will be inducted into the NASCAR Hall of Fame in February. Hobby, King and White will be at a car show and reunion of NASCAR drivers at Occoneechee Speedway, starting at 5 p.m. Friday and 7 a.m. Saturday. 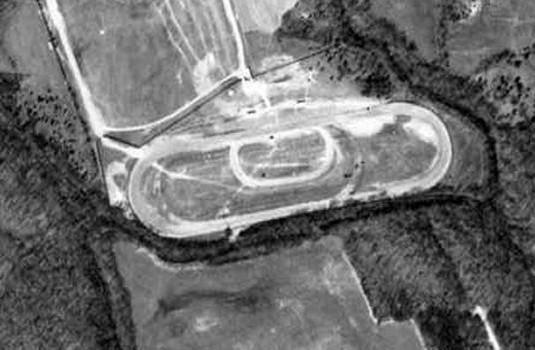 Occoneechee Speedway in Hillsborough was converted from a horse track to a stock car track in 1948. The Eno River runs along the backstretch. "After the race when you were dirty and really matted up with dirt, you could go over to the (water) and take a shower," says driver Rex White. "That's what I liked about Hillsborough the most." Host Frank Stasio talks with Brandie Fields, executive director of the Orange County Historical Museum; Gene Hobby, a former NASCAR driver and president of the Historic Speedway Group; and Bill Crowther, a historic preservationist who manages the Occoneechee Speedway property. The Occoneechee/Orange Speedway in Hillsborough is the only surviving dirt track from NASCAR's first season.